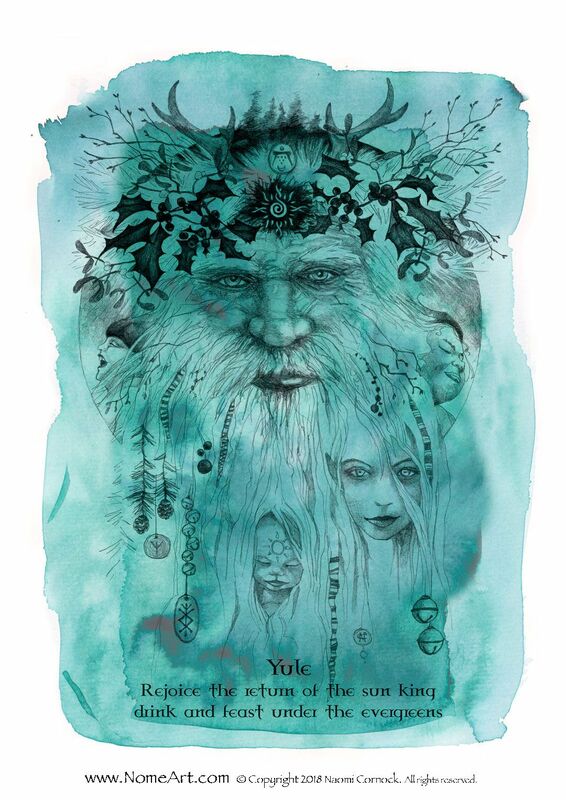 Yule – Winter Solstice around the 21st of December. The winter solstice, the rebirth of the Sun, is an important turning point as it marks the shortest day or longest night. 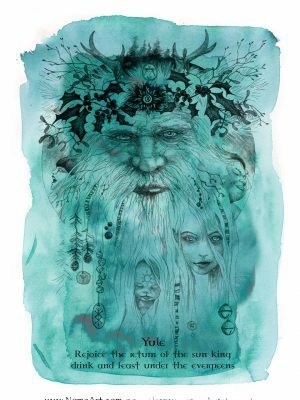 Pagans in the northern hemisphere surround themselves with family and feast on this night, keeping the hearth fires burning bright, surrounded by decorations of evergreens to remind them of the coming season of growth and life. From the ashes of the Yule fire would the sun be reborn. After the longest night when the wild hunt commences and death stalks the cold dark, pagans celebrate, the worst is over, the sun will be getting stronger as they days get longer. good bye to the dying season and hope is rekindled for the next growing season.